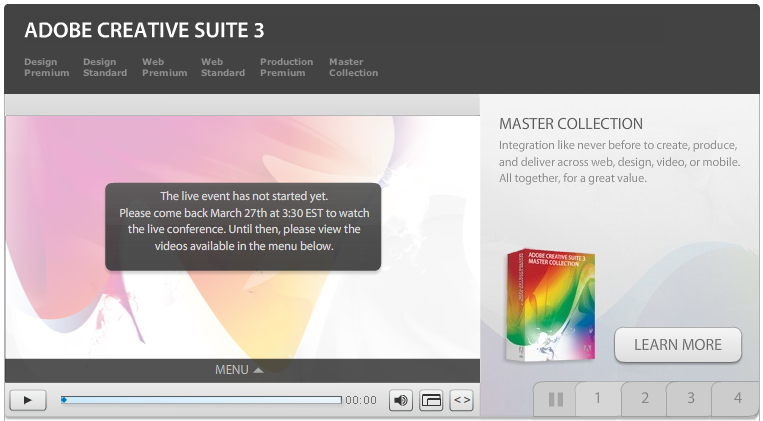 Adobe CS3 Launch event webcast live from NY ! This has been announced for quite a while now and the day has finally come. Watch the live webcast of the unveiling of Adobe Creative Suite 3, hosted in New York City at 3:30pm EST. Adobe’s very own Bruce Chizen (CEO) will be moderating the “largest and most significant launch in Adobe history”. Some details about packages and pricing were leaked recently but there are still some secrets expected to be disclosed. For those of us who can’t make it a recorded version will be available after the event. Don´t miss out on this one.